“Alcohol is our birthright and we will have it every day” retorted the men-folk. “How do we stop them? It looks they can kill us if we raise our voice against this. It all looks so futile” wondered Padmabati, Mamata and other women of Uttarkendbona Sarada Mahila Goshthi in Indpur block of Bankura district in West Bengal. Padmabati had a dream. She dreamt of a small family built with love and care. A distant relative, from a village about 12 kms from her father’s home, arranged her marriage when she was about to turn 16. Padmabati stepped into her new life, partnering her groom, Maheshwar (who then was 18), whom she met for the first time on the evening of her marriage. 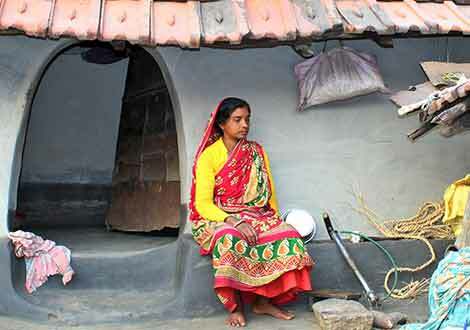 Maheshwar was a marginal farmer, just like her father. But quite unlike her father, or the husband of her dreams, he was an alcoholic. In fact, it was his family business to brew alcohol from Mahua. Produce from their farm was just not enough to feed the five-member family beyond seven to eight months a year. This country-liquor business, would help provide for the months they would starve otherwise. But the uncouth behaviour of the alcoholic customers and that of her own family members was putting her social prestige at jeopardy. The question was – did Padmabati have a solution? No. Fifteen years passed. She had started going to the local Uttarkendbona Sarada Mahila Goshthi, their self-help group, in the mean time. It was the week before Holi in 2016, when their SHG Federation members staged a play named ‘Dukhini Maa-er Shangshar” (the world of an ill-fated mother). Five of the federation members depicted how one’s hard earned money gets siphoned off to procure alcohol and how intoxicated men inflict violence on women and children. Padmabati did not blink even once while the play was on; she watched the entire episode with tears welling up in her eyes. This was no fiction for her, or for any of the 50 other women from different self-help groups in the audience. They saw their own lives being enacted on the stage. 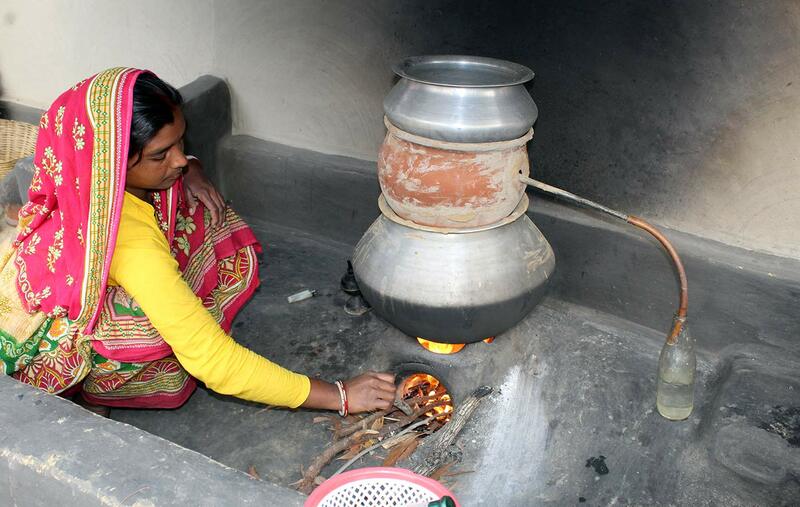 The next few days, Padmabati negotiated hard with Maheshwar to stop brewing liquor at home. “Who is going to fund our food for five months? Your father?” questioned her husband. “Alcohol is our birthright and we will have it every day. These women are trying to become larger than life; let them do whatever they can, no one will be able to stop us from having liquor” – jeered the customers. Padmabati was the lone fighter – they were many. She turned to her fellow SHG mates for support and soon her concern became their joint struggle. After all almost all of their husbands would flock around Padmavati’s hut every evening to get drunk and mess-up with them. “How do we stop them? It seems they can kill us if we raise our voice against this. 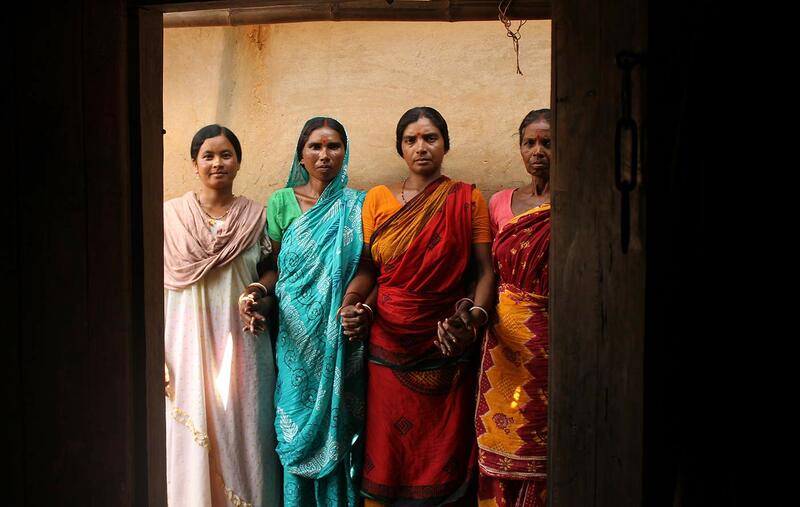 It all looks so futile” wondered Padmabati, Mamata and other women of their SHG. All that they had to counter these pressures were a few new cropping techniques learnt in their SHG workshops - new techniques of paddy cultivation, called Direct Seeded Rice (DSR), growing vegetables using trellis (Machan) that could change their fortunes. However, for marginal farmers like the Murmus, it entailed risk. But for Padmabati no risk was big enough to deter her from answering Maheshwar’s daunting question. 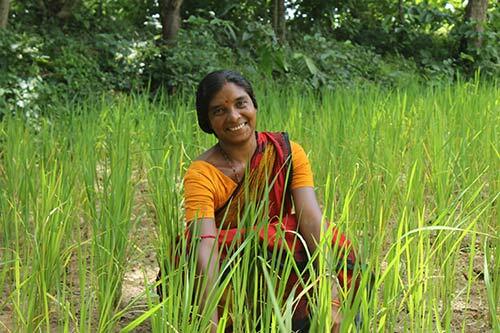 The next autumn, Padmabati’s relentless efforts in her farm fields, coupled with regular guidance from her SHG mates, helped her grow her crop basket with different varieties of vegetables. She grew vegetables like beans, tomatoes, and cucumbers and augmented her income by selling most of these in the local market. She earnt more money than what country liquor could ever provide. Maheshwar was surprised to see that they had actually started eating more than before! No customer of country liquor is found in the vicinity of her household anymore. After all, Maheshwar is seldom found at home any more. His new address is the farm-land where he is seen taking care of the newly grown vegetables and paddy saplings with more rigour than anyone had seen him ever before. And this Maheshwar , has an uncanny semblance with that life-partner which Padmabati had dreamt of in her childhood. Padmabati’s story is but a green shoot. The problem of alcoholism persists in villages of West Bengal as illegal sale of country liquor continues unabated. However, these women of the SHGs are determined to turn the tide – “we may not be larger than life as individuals, but, as collectives we certainly are”.